Happy belated 4th of July to all! We spent our 4th of July up at Stanford with Jace receiving another platelet transfusion. Luckily the holiday weekend in the bay area meant there was NO traffic....the freeways were a ghost town, and it was quite lovely :) We received a phone call from our stem cell transplant coordinator in regards to Jace's bone marrow transplant. If, and this is a big IF, all things go according to plan with one of the donors they reached out to, Jace could be admitted and get his transplant by mid to late August! This is great news! It is also terrifying news.... But the sooner we can start the process, the sooner we will be done with it. We have been absolutely blessed with an amazing, strong, happy baby boy, and I know that he will get through this transplant journey with flying colors. Thank you to all who have been supporting us along this journey, and thank you in advance for the continued support throughout Jace's recovery. As more details become available to us, we will reach out to keep you all informed. 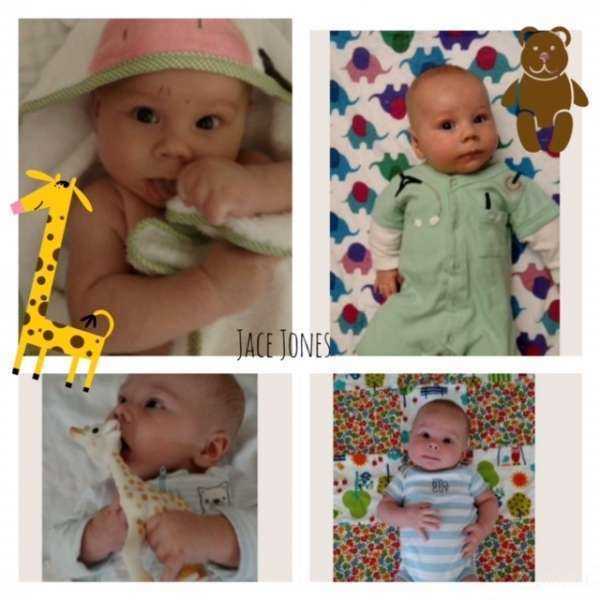 Terri, has volunteered to lead fundraising efforts with the Children's Organ Transplant Association (COTA)- more details about this as they are just beginning the fundraising campaign, but we will be redirecting our posts to a new website created for Jace. As always, please keep Jace and our little family in your prayers.